Last night RRGB reported 2Q GAAP diluted earnings per share of $0.44 versus $0.36 consensus. On a non-GAAP adjusted EPS were $0.48, compared to adjusted EPS of $0.29 last year. Importantly, Red Robin's company-owned comparable restaurant sales increased 3.1% driven by 4.5% increase in average check, which was partially offset by a 1.4% decrease in guest counts. In my view, the biggest problem was that management used the macro environment as an excuse. The roller coaster in US equities which has been down ~13% over 14 days of trading (over the last three weeks the VIX is up 44.1%, 26.7 and 36.3% (through Thursday), respectfully) as the reason for the decline in traffic. 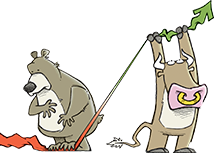 The stock market is a discounting mechanism and is clearly, over the last two weeks, implying deep concerns about the future prospects of the U.S. economy. 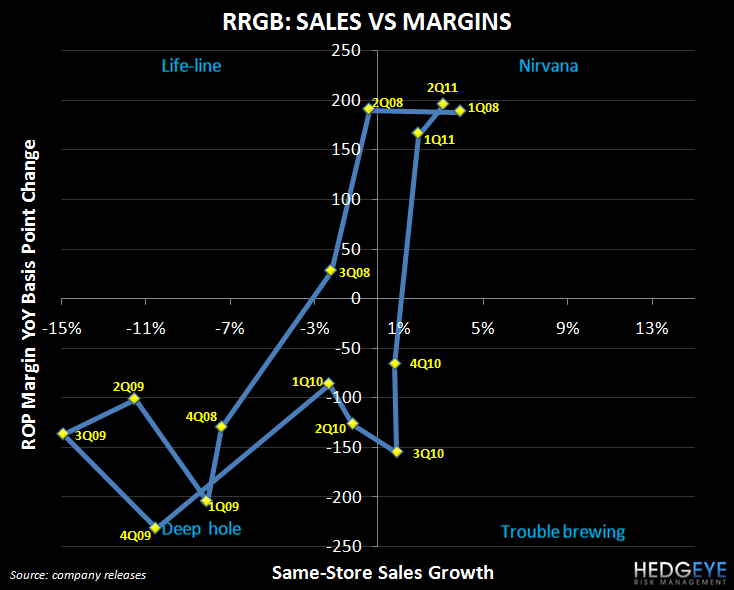 For RRGB, though, the consumer has been impaired for some time and management’s clinging to the macro environment for an excuse is not convincing. Declining traffic trends are always a concern and, while management is attributing this slowdown to the macroeconomic environment, we would contend that there is likely more to it than that. It is unlikely that such a sequential deceleration in traffic can be entirely accounted for by soft macroeconomic trends. The consumer environment has been challenging for some time. The Bloomberg Weekly Confidence Index is only 5 points from its all time low. On the other hand, gas prices have come down, albeit to still-elevated levels. 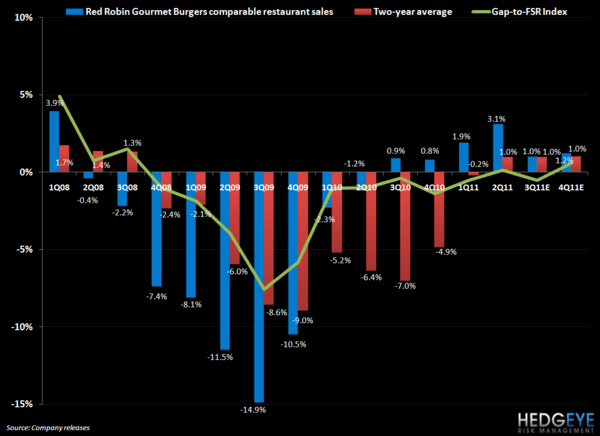 While the market plunge has definitely shook confidence, we do not believe it has caused the Red Robin consumer to stop bringing his/her children for a burger. The RRGB turnaround is progressing and management is forging ahead with acceleration in new unit development. The decline in traffic trends overshadowed what was otherwise a strong quarter and this is a worry for investors going forward.